This post was originally published on Feb 4, 2014, and updated on Dec 2015. But social media managers have a million balls to juggle at once, so using that direct line of communication effectively can be a major achievement. The good news is that as social media has grown up, so have the tools that are available to help you master it. Here are 15 of our favorite social media tools for saving time, getting better results, and making the most of every single social interaction. This free, easy-to-use Twitter management tool allows you to oversee all aspects of your Twitter account(s) in one interface. One of the frustrations of managing multiple Twitter accounts is the need to log in and out any time you need to review content, respond to messages, or read tweets. Tweet Deck is the easy way around this daily headache. With this tool, you are able to connect multiple Twitter accounts, customize what you want to see, organize your feeds, and even compose and schedule tweets. If there are multiple people collaborating on a single Twitter account, you can add team members without needing to give them the password to the account. Considering TweetDeck is specifically tailored for Twitter, it may not be the best tool for those looking to simultaneously manage various social networks in one place. Nevertheless, it gives great deal of control over the intricacies of your Twitter profile, without the hassle of navigating across profiles. Hootsuite takes it a step further and allows you to manage multiple social content streams from Twitter, Facebook, LinkedIn, Google+, Foursquare and many more networks. Working across multiple networks with a social team can be difficult, and Hootsuite makes it possible for you and your team to delegate between responses to fans and followers, eliminating the stress of coordinating responses and potentially overlooking valued fans. In the past, one of the biggest frustrations with Hootsuite was how it handled social media images. The good news is this issue is now fixed on Twitter, so scheduled posts will show up to four images directly in the feed. Another newer enhancement is Hootsuite’s ad beta, which helps you identify your best performing content on Facebook, and then helps you create ads to leverage that content for better performance. 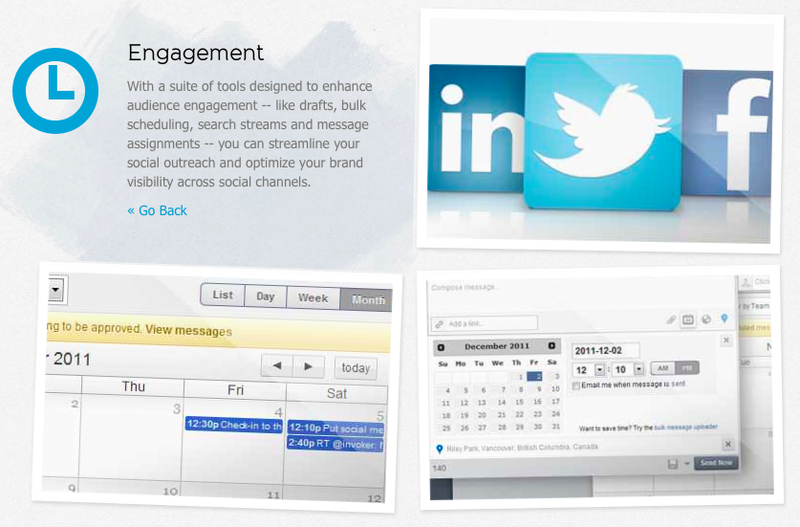 Free – Up to 3 social profiles + basic reports and scheduling. $9.99/month – Up to 50 social profiles, one additional team member, and advanced scheduling and reporting features. Enterprise (custom pricing) – Unlimited. Like many of the other tools on this list, Sprout Social allows you to schedule updates to your social media accounts. However, there are a couple unique features that set Sprout Social apart. 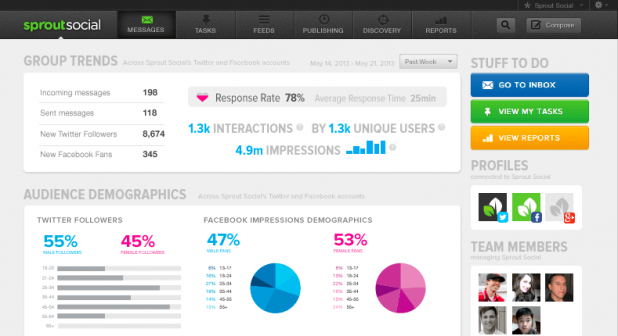 In addition to monitoring and managing multiple social networks, SproutSocial’s clean interface also delivers deeper analytics. 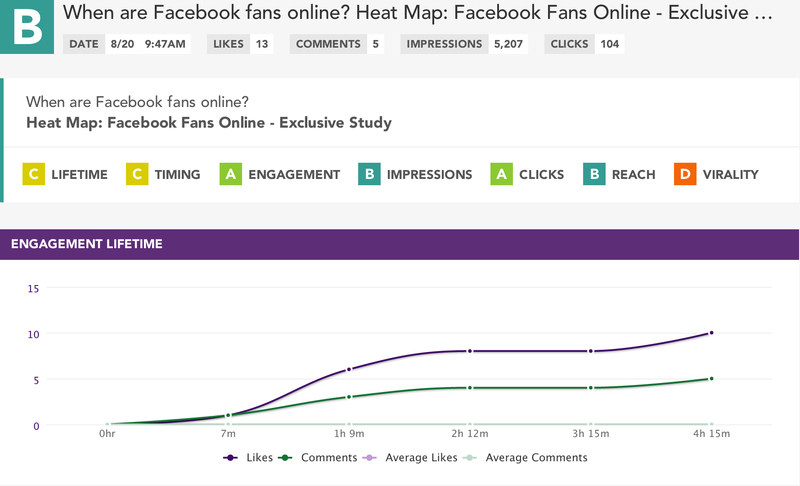 For example, Sprout gives you calculated engagement and influence scores, and if you’re using social media for customer support, it also measures your response time. You can even turn your messages into action items to create workflows or reminders surrounding your social activity–connecting the dots from the conversations happening online to real business. Another perk is the ability to discover new people to connect with and systematically remove bad connections, using the Discovery tools. Deluxe: $59 per user/month – Manage up to 10 profiles, 5 brand keywords, smart inbox, scheduling, brand monitoring, and reports. Premium: $99 per user/month – Everything in Deluxe, plus up to 20 social media profiles. Also includes additional reporting and integration features. Team: $500/month – Everything in Premium, plus up to 30 social media profiles and 5 users. Also includes additional team management features and 24/7 support. Yes we have tools, too! Even though we’re focused on creating great content, Google Analytics users can make sure they keep their eyes on the prize by signing up for our Google Analytics Report. 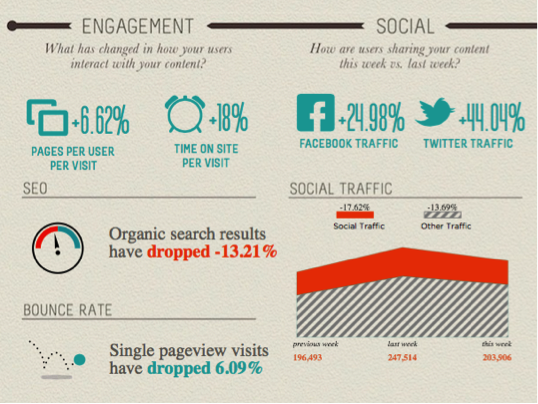 Each week we’ll email you a custom infographic that gives you a snapshot of your website’s activity and performance. It highlights where your wins came from and calls out where you’re dragging. Forward it to your boss and you’ll look like a total rockstar (as long as the numbers are good). Many small businesses focus only on Facebook and Twitter, so the ability to manage other platforms isn’t top of mind. 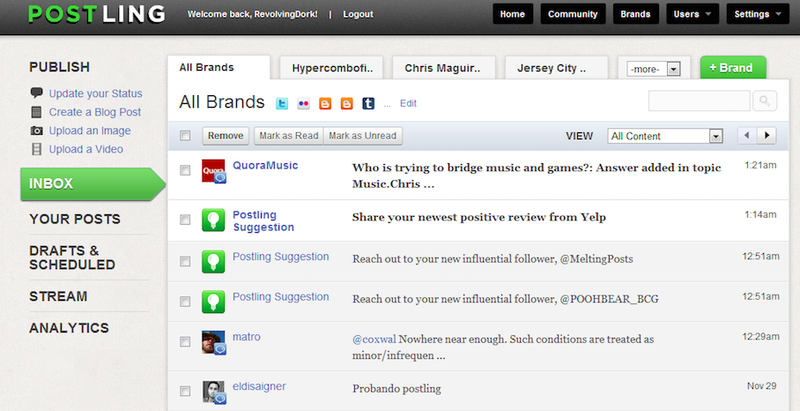 Crowdbooster helps streamline your social media activity so can you pay attention to what matters most. While you can use it as a scheduling tool to post updates, the real advantage Crowdbooster comes in its ability to identify your most valuable and most active fans and followers so that you can interact with them directly. 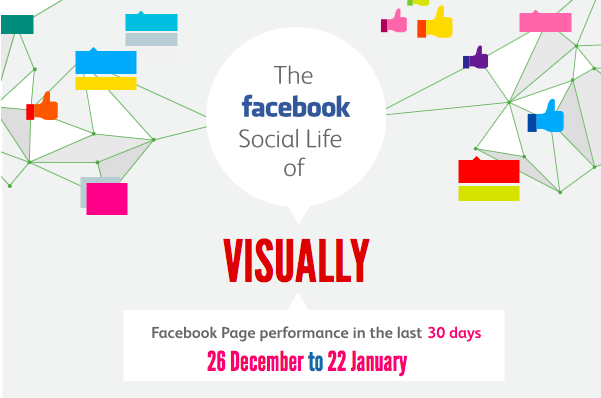 It also analyzes the data in order to recommend ideal posting times for both Facebook and Twitter. Bronze: $9/month – 1 Facebook page, 1 Twitter, 1 user with a limit of 50k fans and followers. Includes audience growth, reach, and engagement metrics, social media scheduler, email reports, and online support. Silver: $49/month – 10 social media accounts, 8 users, and unlimited fans and followers. Everything in the Bronze package, plus management for multiple users and priority email support. Gold: $119/month – 30 social media accounts, 30 users, unlimited fans and followers. Everything in the Silver package, plus a dedicated account manager. 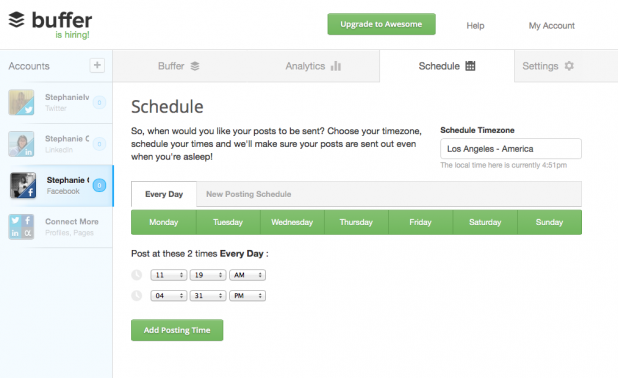 Like some other tools on this list, AgoraPulse has a robust scheduling tool, but its strength lies in the inbox-like interface it uses to help you manage conversations on Facebook, Twitter, and Instagram. You can create filters to tag, flag, hide, or make assignments regarding content and followers. This can be useful for segmenting (by customers vs. non customers, for example), and making it easier to find existing conversations so you can build real relationships, even when stretched thin trying to cover several accounts. The app also includes a badging system that makes it easier to alert you when an influencer or advocate has posted, as well clear analytics that can be exported as PowerPoint slides. Micro: $29/month – inbox, monitoring, and publishing for Facebook, Twitter, and Instagram, includes 1 account. Small: $49/month – 2 accounts, plus some analytics. Medium: $99/month – 5 accounts, plus advanced reporting and user profiling. Large: $199/month – 10 accounts, plus other advanced features. 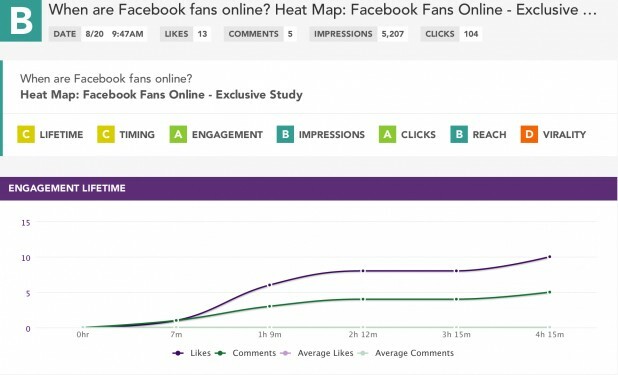 Although Facebook delivers detailed data about things like likes and reach, sorting through it to find insights can be a hassle. When push comes to shove, Facebook’s Edgerank algorithm does almost as much to determine your success as your own strong efforts. Edgerank Checker helps social media managers understand how their followers interact with each post by assigning it an Edgerank score and making recommendations to help future posts get into your followers’ newsfeeds. 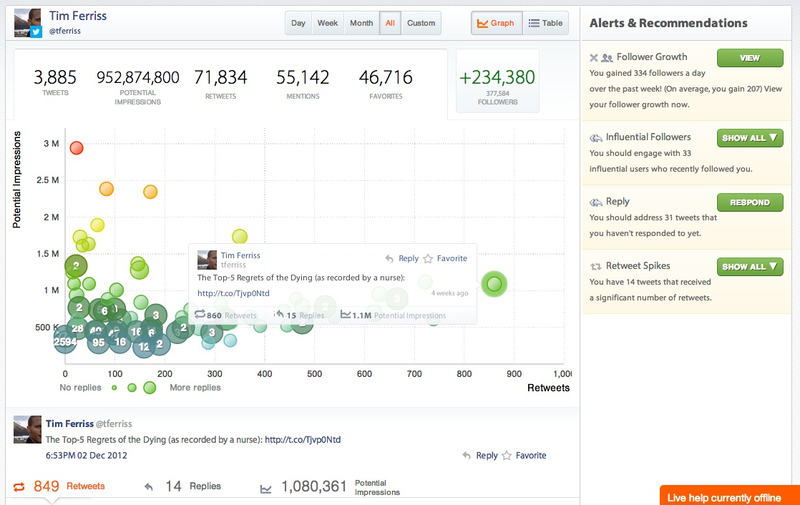 You can even monitor each post in real time. BuzzSumo is a tool that gives you social data on top performing content and influencers based on your search queries. By entering a topic, domain or specific keyword, your results will be nothing short of relevant. Filtering your search by time frame will show you the most shared content over time, which can give you insight to trends or help with generating ideas for your own content creation! With this tool, you can view who has shared a specific piece of content and create a list of influencers based on your interest. The pro plans allow you to closely monitor keywords, domains or authors by setting up alerts when new content is published. With great data readily available, this tool is one you’ll want to use frequently to stay on top of the latest buzz in your field. Shoutlet is enterprise-level social media marketing software that aims to help companies understand their market, grow their social database and drive their business by creating a seamless platform that guides targeted campaigns through analytics. In addition to publisher and scheduling tools, the streamlined community management platform makes it easy to create custom workflows to make sure the needs of all customers and fans are being addressed. The advance features in this social management tool are every marketer’s dream come true. Need help with your social media content? Visit our marketplace to find out how we can help! Stephanie Castillo is a digital marketing specialist at Visually. She has a bachelor’s degree in Anthropology and History of Art and Visual Culture from University of California, Santa Cruz. Follow her on Twitter: @StephanieIvania. Thanks also to Emeric and the AgoraPulse team for helping us update this article.